Whether your deli is on the main street or at the seaside, you will need help choosing the best POS system when you’re looking to upgrade your existing cash register or point of sale. This guide will explain the major benefits of deli POS software and what features are most important to help make your deli more successful and easier to run. Your POS system can either be a reliable tool that helps you grow and manage the deli effectively or nothing but an expensive hassle. POS systems change and improve every year. For example, using an iPad as a POS device has changed the entire business when it comes to cash registers for small enterprises. You’re no longer forced into a long term contract and compelled to use costly, outdated proprietary equipment. It takes just minutes to connect to a standard cash drawer and compatible networked printers. Easy to operate and almost never malfunctioning, iPads are widely available both new and used, so users enjoy a great reliability to affordability ratio. 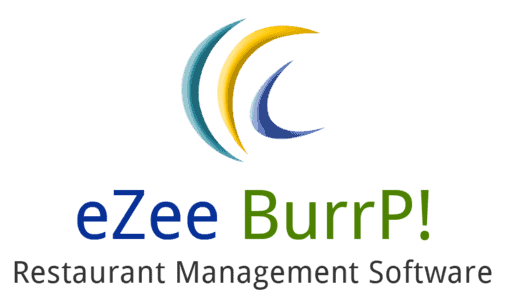 1.3 Our #3 Pick For Best Deli POS Software: eZee BurrP! Poster is a tablet Point of Sale (POS) for delis, cafes and shops. The POS application works on laptops, iPads and Android tablets, which reduces the initial cost greatly. Poster offers a great number of useful features and is excellent value for money. These features include, but are not limited to financial and stock control, bonuses, discounts, and promotions settings, fast food mode, built-in customizable reports, and floor section map and supply storage notifications. It is easy to set up and takes just minutes. You’ll be on your way to saving time and money before you know it! Poster’s quick order taking function is one of its best. We tested the app thoroughly to see how long it would need to take an order. The interface is intuitive and require no staff training time. Your staff can start selling in less than a minute. The software is equally reliable online and offline. Temporary losses of Internet access won’t stop your deli from working - you can continue taking orders and getting receipts printed. All offline orders will be integrated in the cloud and you will be able to see them in the management console after the connection is restored. All resources will work for your business. You can select password protection for actions that necessitate advanced security, such as making discounts, removing order items after printing a receipt, and more. Deli managers can connect a barcode scanner to Poster POS to start taking orders faster. You can add goods, scan barcodes and discount cards and more. The software also supports Motorola Bluetooth scanners. 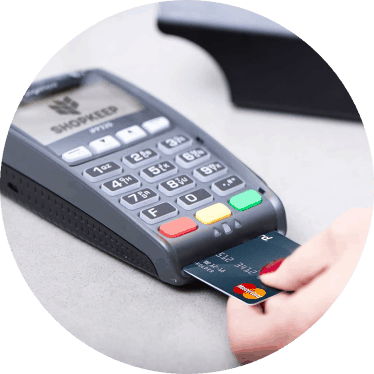 What is more, your customers can split payments into parts, paying cash or by gift or credit card as they choose. The software enables you to print tickets for your station of choice. You can easily split an order among several guests too. In counter service mode, the floor plan can be turned off. Your staff can navigate open orders on the floor plan very easily. You can add a table, change its size or move it in the management console with a visual editor. Your logo, address, and Wi-Fi spot name and password can be added to every receipt. This software has several simple and strong reports - sales, receipts, profit, guest count, sales through daytime and days of week, average check, and more. All of these features can be grouped by locations, customers, waiters, stations, payment methods, and products and categories. This company’s servers are located in Germany and data is backed up automatically three times a day. No one can steal your password because the management console uses secure HTTPS protocol. Waiters report the amount of cash at the beginning and end of each day, and the software compares expected and reported cash amounts and notifies you if something seems wrong. It also counts tax amount you need to pay for a certain period based on the type of item automatically. If you own/run a franchise, Poster can be incorporated into your franchise contract. Poster POS is a great choice if you don’t have a POS system at present, because you just opened your venue, you want to upgrade your POS, or you need to introduce a POS at a chain of delis. It is very functional and great value for money. Loyverse lets you manage your deli from mobile devices, acquire, keep and engage customers, manage inventory, generate a higher yield and visualize sales analytics. Sales become quick and easy, as does building your customer base. You can send messages and e-receipts to your customers and gather valuable feedback. This deli POS software tracks inventory and indicates if something is causing a high amount of food waste or if you are losing money for another reason. Overbuying is one of the main causes of restaurant food waste. If you are tracking your sales with ingredient inventory accurately, you should have a good grasp of how many raw ingredients you're using each day. With Loyverse, it is possible to manage one or more stores from the same account. Your analytics are uploaded to the cloud. It is a system, with which you can grow and prosper - retain customers, boost sales and run your own loyalty program. You will also be better able to make informed business decisions thanks to the visual analytical reports. The back office works in sync with the POS system. You can see what your top-selling items are and browse your transaction history. The free dashboard app offers instant access to your deli’s stock and sales analytics anytime, anywhere. You can view revenue, profit and average sales and follow sales growth, making comparisons to previous days, weeks, even months and years. You will also see which items are selling well, averagely, or selling poorly. 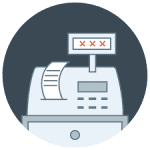 Users of this POS system receive instant notifications when inventory is running low or out. Orders are dispatched to the kitchen automatically, faster and with less errors, and your cooks know what to prepare from all orders. Sound notifications ensure you will never miss a new order. You can view the list of completed orders and reopen orders if needed. Finally, you can see all tickets at a glance with colors indicating the anticipated waiting time. This POS software is not very convenient to use with smartphones according to some users. On bigger screens, a category drop box is needed. This system is easy to use and flexible. It can be run online by multiple users. There is a separate dashboard and instant customer support. All in all, we would recommend it. Our #3 Pick For Best Deli POS Software: eZee BurrP! eZee BurrP! stands out from the crowd not only because of its quirky name. This fully integrated, user-friendly, intuitive deli POS software entails an approach that is unique in its simplicity, and it is amazingly reliable. No matter if you have one deli or a chain, the system helps you manage your business efficiently. It works on touch screen devices as well as on desktops. This system’s customizable options make it perfect for any restaurant type. You get direct access to all operations modes right from the central dashboard. This limits errors in order type and increases service speed. You can choose from Takeout, Dine In, and Delivery, making it easier for the staff to track the order type and making the billing process simpler. What is more, the Kitchen Display System (KDS) displays all orders in the kitchen immediately to ensure fast order preparation, leading to quicker and better service. Anybody with even remote knowledge of restaurant management knows that customer service doesn't end with serving an order. Billing operations are the final and the most critical aspect for every food and beverage establishment, as they tend to make a lasting impression on the guests. 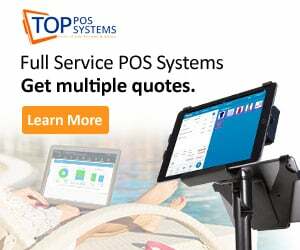 This POS system streamlines all operations and keeps all the updates between orders in check, managing the entire billing process, which includes adding or removing items from an order, splitting checks and more. Among the other great features of this POS system and software is table reservation management, the option to create multiple menus, to customize orders with item modifiers and make different menus with different taxes and rates. One of the most annoying and cumbersome tasks in restaurant management is Inventory and Stock Management. Any sort of error in this regard often leads to widespread confusion in all departments. This system’s sophisticated inventory and stock management module is attuned to the finest of detail, making it possible to track items, efficiently manage the stock, and reduce wastage. The reports and advance tracking keep you up to date with the stock levels. You will reduce expenses because you can see the fluctuating demands in your deli. The real-time inventory option lets you set stock levels, initiate item transfer, customize inventory and stock rates and more. The interface can be too heavy for a POS. 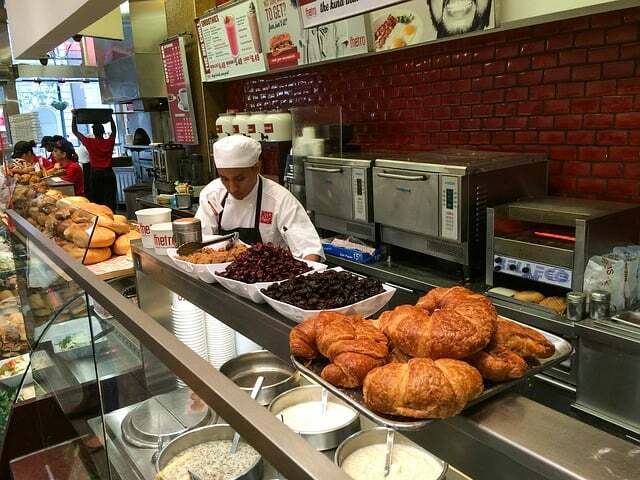 According to some users, it cannot be customized to adapt to your deli’s individual needs. A better recipe management system is needed, as are more sync features to sync automatically based on time. The lack of a loyalty program is a distinct disadvantage. This POS system makes it easy to manage multiple delis, and the online reports for managers it generates are extremely useful. When choosing a deli POS system, there are certain key features you need to consider, and these involve being able to view which products are selling, being able to view recipes, and knowing your costs. The best POS system for delis isn't just capable and rich in features – it also helps owners and managers address the concerns they may have about running the business. The best POS system provides you with the resources to do more on your limited time while discovering new ways to save money. Your employees should be trained to use the right ingredient portions. However, you don't have to rely on your memory with a deli POS system that tracks ingredients. A good system will let you tap the item to find the description and recipe. This way even new, inexperienced staff members will know exactly how to make a sandwich down to the exact ounce. Finally, all deli managers realize that controlling food cost is important. Menu items need to be designed in such a way so that the perceived value of the item is higher than the cost of its raw materials. This seems obvious, but it can be tricky. A good POS system will give you an instant food cost calculation if you know how much your ingredients cost and how much of each ingredient goes into each menu item. You can then adjust portion ingredients or sizes to hit your targets.